One of the biggest mysteries known to mankind, the origin of the Universe and everything in it, might be closer than ever to being solved. For years, scientists have been on the hunt for a particle, known as the 'God Particle' which they believe holds the key to the creation of the Universe or the 'Big Bang Theory'. The particle in question is actually the Higgs boson particle, named after physicist Peter Higgs and his colleagues who predicted the particle's existence in 1964. 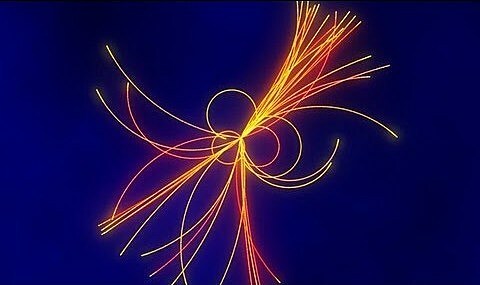 The Higgs boson is thought to be the particle responsible for giving all other particles their mass and weight. The bulk of the experiments have been done at world's largest particle accelerator, the Large Hadron Collider which is buried underneath France and Switzerland. As a result of those experiments, they believe they have narrowed down the list of possible hiding spots for the Higgs boson. This could be one of the most significant finds in history and could potentially answer every question about how we came to be. Scientists say they still have a ways to go, but they feel like they are closer than ever to identifying the Higgs boson particle.